Fire is better. 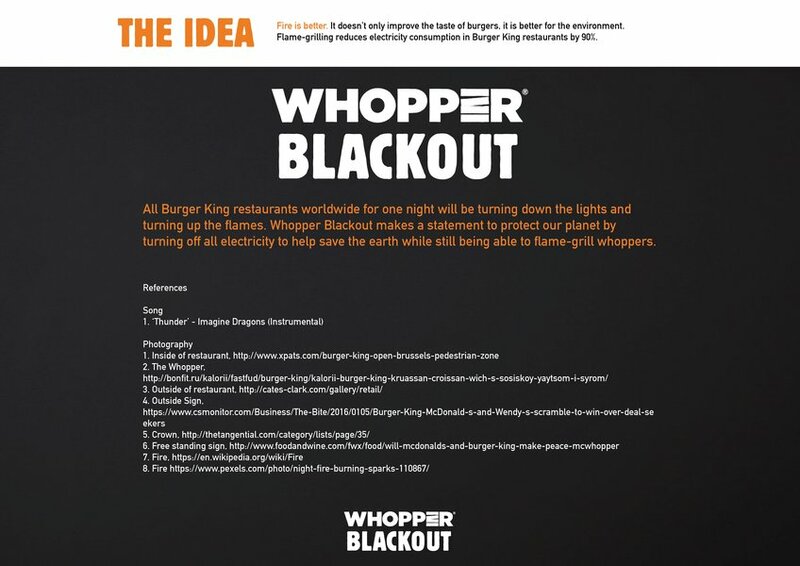 It doesn’t only improve the taste of burgers, it is better for the environment. 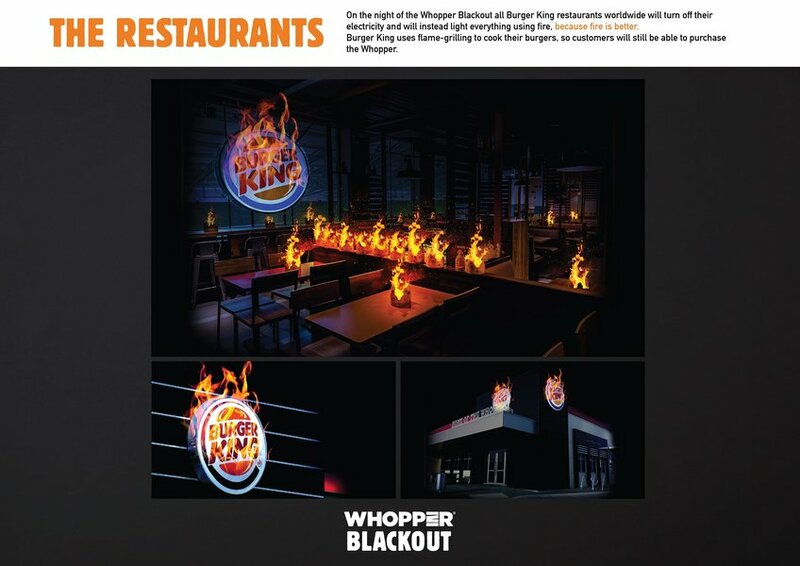 Flame-grilling reduces electricity consumption in Burger King restaurants by 90%. 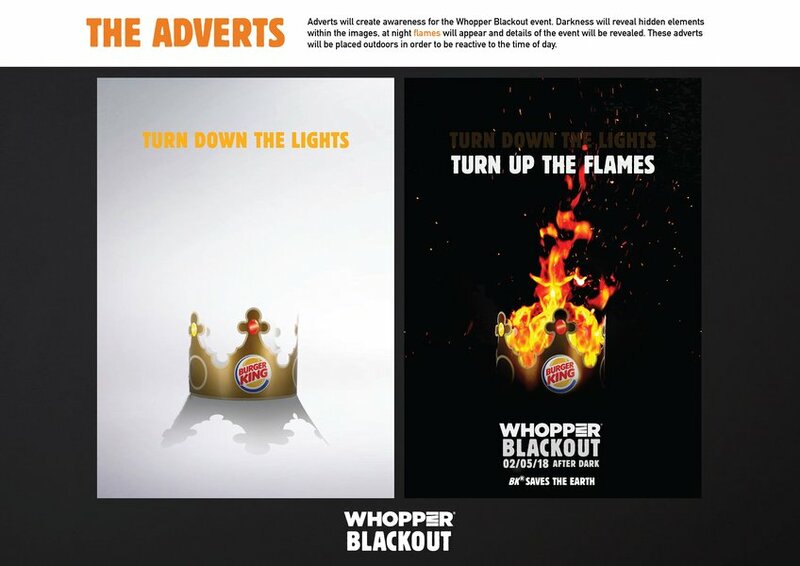 Whopper Blackout develops on the idea of Burger King doing good for our planet by turning down the lights and turning up the flames. 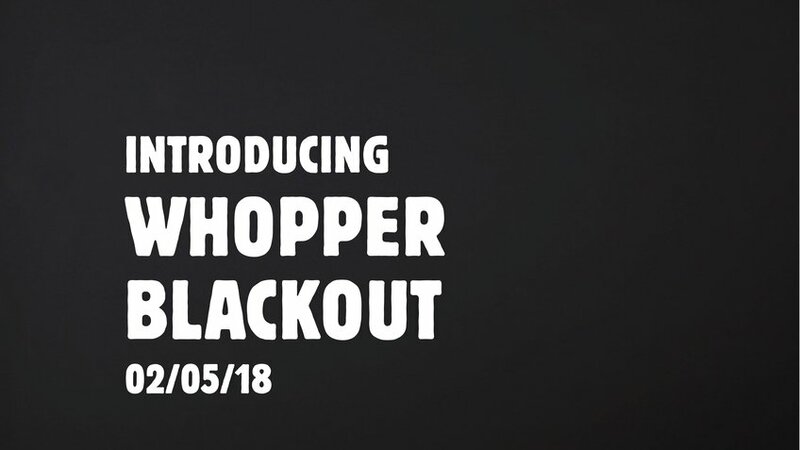 Whopper Blackout is a night where all Burger King restaurants worldwide will turn off their electricity in order to save the Earth, but they will still be able to flame-grill the Whopper. 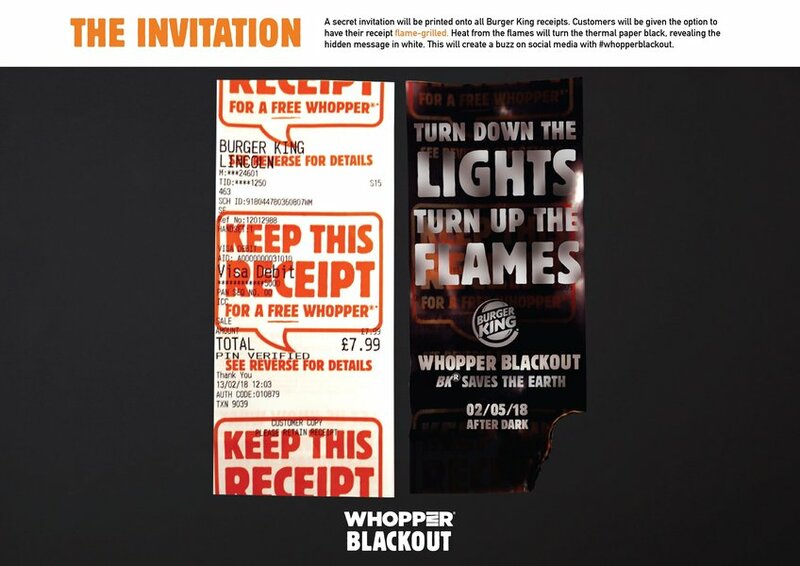 Secret invites appear on Burger King receipts and adverts reveal details of the event when darkness falls.